Applications for summer 2019 will be available October 29, 2018. For questions, please contact Scot Nicoll, Executive Director of Camp Akita, at snicoll@CampAkita.org or 614.488.0681 ext. 122. 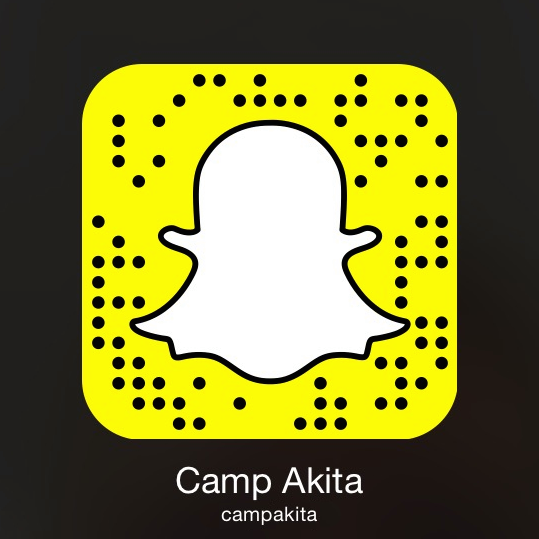 Camp Akita is owned and operated by First Community Church in Columbus, Ohio. To learn more about First Community Church and our inclusive, loving theology, please click here. Camp Akita is located on over 1,200 acres in the Hocking Hills of southeast Ohio. We welcome over 1,700 campers a year to our summer programs, from 1st grade through graduated seniors. We offer three different summer programs, a tradtional summer camp, a service learning camp for high school students, and an outdoor education focused experience. First-Year Counselors are staff members who help supervise and lead activities for a cabin of campers while living in cabins with the campers and another counselor. They act as teammates to the returning counselors, bringing a fresh perspective and energy to the counselor community, while being eager to learn and improve through training and experience. Prospective counselors should read our mission and vision statements. You can find them by clicking here. Being a camp counselor is not an easy job, make sure you are prepared to dedicate your time and energy to our campers before you apply. All Camp Akita staff must be at least one year out of high school at the time of employment (for example, applicants for summer 2019 must have graduated high school in 2018 or earlier). Counselors must be able to hike, climb stairs, and lift at least 25 pounds. The employment period for first-year counselors is May 23 – August 11, 2019. Counselors are expected to live at Camp Akita for the duration of their employment. You will be offered at least one session off based on our staffing needs and any scheduling conflicts you may have. All time off must be approved by the Camp Director. All first-year counselors should plan to work the entire summer. However, you will not necessarily be turned away if you can only work for part of the full employment period. Just make a note of this in the appropriate place on the application. First Year Counselors are paid a summer salary of $2,332. This assumes you are present for staff training and have one session off during the summer. Additional time off is calculated on a per-day basis, so if you took an additional five day session off, you would subtract $220 from $2,332 to calculate your summer salary. You can also earn an additional bonus for certain special certifications (read more about certification bonuses). In addition to the wages paid, Camp Akita provides lodging and food to all our staff at no cost. For first year counselors, lodging will be primarily in one of our hillside cabins. First year counselors generally move cabins each camp session so they are able to work with all of our returning counselors of the same gender. This allows the first year counselor to see a variety of leadership styles during the course of a summer. The meals provided to staff members are primarily the same meals we serve our campers, designed to give the campers the energy and nutrients needed for long days at camp. We have vegetarian options available at every meal. Meal planning is done on a camp session basis. So, you will typically have the same meals in a rotation throughout the summer. In between camp sessions you will be asked to pay for a meal, typically a dinner. Please note, over the course of the summer you may be responsible for up to 12 meals. For staff members with specific dietary requirements or restrictions, we do our best to provide meals that fit your needs, however our options are limited. For example, if you are gluten free, you may have the same breakfast, lunch, and dinner every Monday, and so on throughout the week. We will do our best to find food that you are able to eat and will work with you to make your summer a success. Please note, if for any reason you have a restricted diet, your meals may be on a week by week rotation. Click the "First Year Counselor" button on the bottom of the page. If you have not applied in the past, click the blue link below the login box that says, "Begin a new staff application". If you have applied in the past, use the login username and password you set up before. Fill out the entire application, making sure to answer the position specific questions as detailed as possible. The answers to these questions will carry the most weight when we make hiring decisions. A hiring committee formed from members of the Akita Council will review and rank all applications based on the quality of the responses, each month during the open application window. All identifying information (ie, your name, other names mentioned, etc) will be hidden from the committee. Next, the ranked list of applications is passed on to the Camp Directors, who conduct interviews with applicants and review the required recommendation forms. This team then re-ranks the applications and offers employment to the top ranked applicants first. We work down our ranking list until we have filled our available staff openings. Applications for first year staff positions will be accepted online until December 21, 2018 at 11:59 pm. Selections for positions will be made by February 2nd, 2019. Based on our hiring needs, we will continue to accept applications until all positions have been filled. If you have any questions regarding the summer camp employment process, please contact our Columbus offices at or 614.488.0681 ext. 101 or email Staff@CampAkita.org.